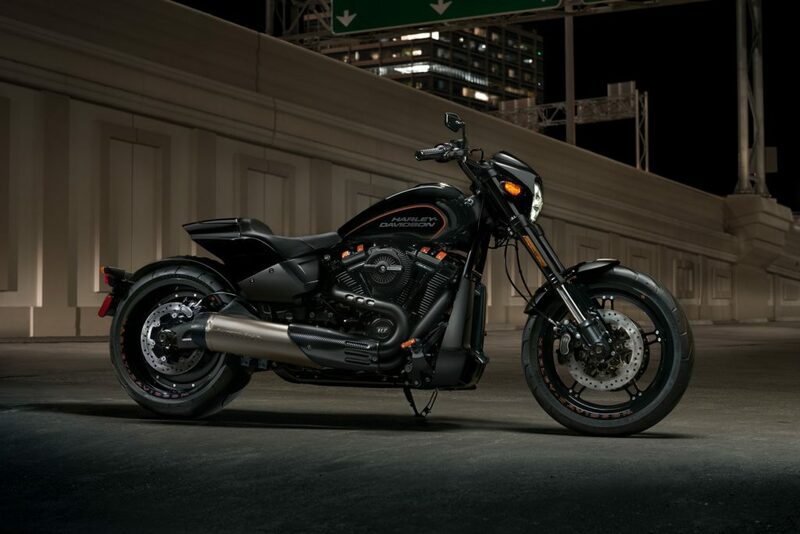 A new model to the SOFTAIL family line-up. It is also the most expensive one out of the line-up with a price tag of $21,349 as is and there are several custom parts that are available to make the bike more suited to individual riders’ tastes. 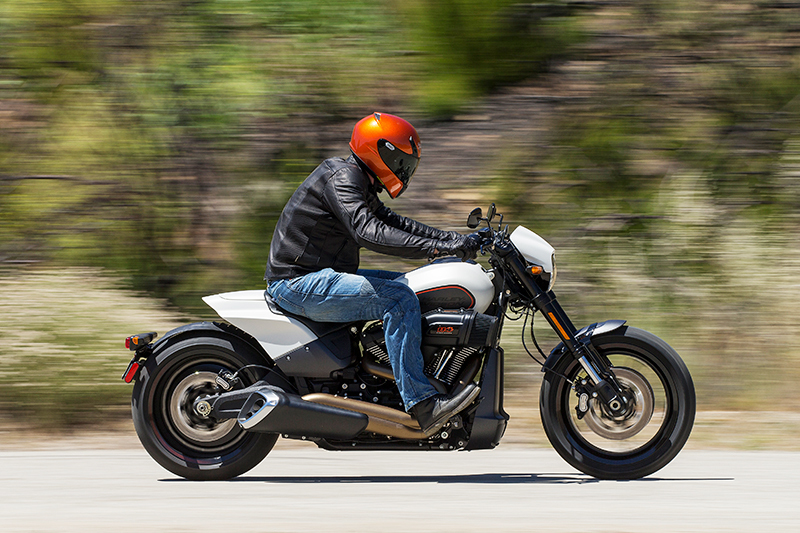 FXDR is a rather unique looking model, given its high in-take and large 250 rear tire and focused towards pulling fast in a straight line but it can handle bendy corners even better than the Fat boy. The sitting position is more for people in the heights between 5ft 9″ to 6ft, but if you are any taller then you’d be hunched over and because the feet controls are almost at the same length forward so you feel a little fatigued on longer rides which brings out the main point to who this bike is for and for purposes. It is not a daily driver or for long rides but for a weekend fun run and dare I say, some drag racing eve. 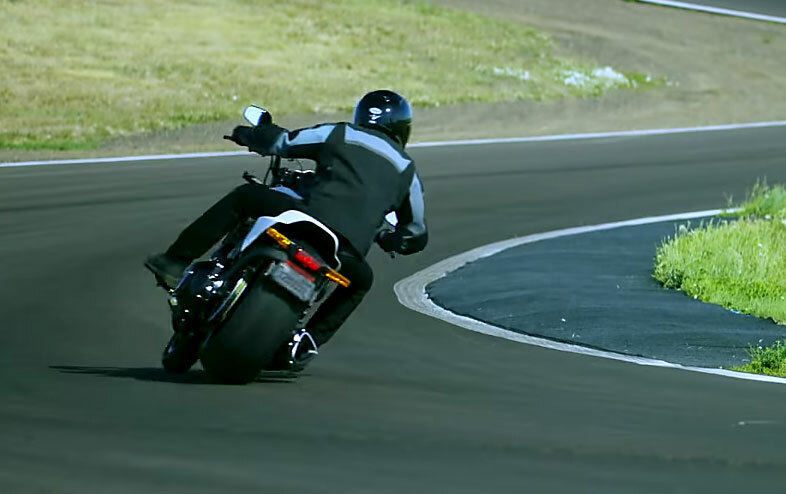 Lots of torque for that A-B drag and to pass over at high speeds all thanks to the Milwaukee Eight Engine. The body is made out of number of alloys and composite components to reduce weight. All new aluminium swingarm and subframe allows for maximum acceleration braking and handling. 2-into-1 exhaust tuned for a nice rumble but not just for looks, for it performs and situated at an angle to not to interrupt that lean. 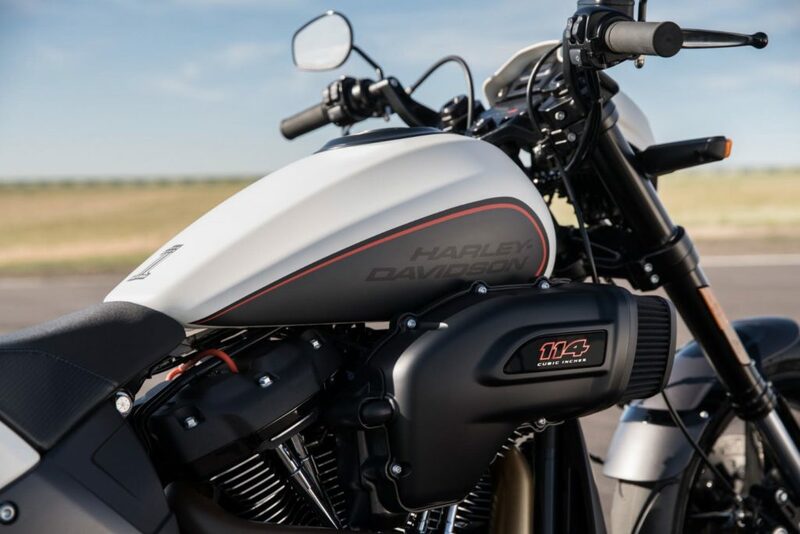 Newly designed air intake inspired by Screamin’ Eagle NHRA drag bikes and shaped to enhance air flow to the engine that looks rather decent on this reinvented SOFTAIL frame. LED Daymaker headlamp, LED rear lighting and turn signals come standard with digital riser gauge and a keyless ignition are all great features. Over all it is more than a decent package but keeping everything in perspective, and the modern bikes that are gracing the bike market like Indian, BMW and many Japanese bikes as well, Harley-Davidson FXDR™ 114 is for a true Harley fan for this kind of price but for seasoned riders, there are other bikes that are better bang for the buck.